Do Tea Partyers support Social Security and Medicare? COMMENTARY In a recent poll conducted jointly by prominent Republican and Democratic polltakers, 34 percent of self-identified Tea Party supporters said that Social Security and Medicare should not be cut, no matter what. Another 30 percent of Tea Partyers said that if cuts to Social Security and Medicare were to be considered, lawmakers must also look for other ways to help people better plan for retirement. Responses favoring Social Security and Medicare were higher among most voters of all political persuasions, with 62 percent of Democrats and 49 percent of Republicans saying these programs shouldn't be touched, no matter what. Overall, half of all voters surveyed supported this position. The poll of 800 voters was conducted in September by Public Opinion Strategies and Lake Research Partners, and sponsored by Americans for a Secure Retirement. 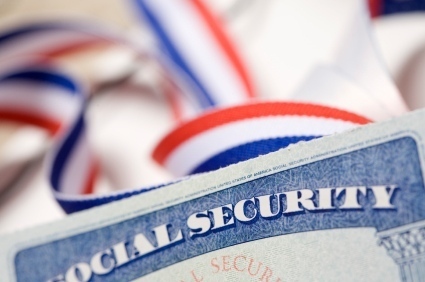 The poll's results show evidence of widespread support for both Social Security and Medicare. After all, everybody has parents and grandparents they're concerned about. Positions taken by Rick Perry and other extremists regarding Social Security are out of touch with the general populace, who wouldn't think of calling Social Security a "monstrous lie" (Rick Perry's description of the program). Lawmakers, however, are caught between a rock and a hard place, given the overwhelming concern that voters have about the federal debt spiraling out of control. If lawmakers don't touch Social Security and Medicare -- two of the largest programs funded by federal taxes -- they'll need to raise taxes to help balance the federal deficit. But that may be fine with voters: Raising taxes on the wealthy was one of the more popular actions favored by poll respondents in order to save Social Security and Medicare. But there's a middle ground here. Changes can be made to Medicare to reduce fraud and waste, reward more efficient health care providers, and encourage the citizenry to improve their health and reduce the demand for medical expenditures. Of course, such measures alone won't be enough to keep Medicare solvent -- though they'll certainly help -- and in some form, additional revenues or benefit cutbacks will be needed to help reduce the deficit. There are similar adjustments that can be made to Social Security that will improve its finances, such as increasing the amount of wages that are subject to Social Security taxes, and refining the eligibility for disability payments. But again, we'll need a package of changes; there's not one single magic bullet that will solve all our challenges. The poll takers mentioned above also reported a remarkable deterioration in voters' confidence regarding their ability to maintain a comfortable standard of living during retirement: One-half of poll respondents said they were less confident now than a year ago. A major reason for this concern? The economy and the partisan gridlock in Washington. It's high time for lawmakers to put their country's interests ahead of their own political party's interests and ideology, and focus on making the hard compromises and choices that will help restore our confidence in the future.